Do you want to uninstall a program from your Windows 10 PC but it’s refusing? Want to uninstall a program, but the program is not showing up in Control Panel or Settings in Windows 10? In this guide, we will cover the three easy solutions to uninstall programs that won’t uninstall. Program Install and Uninstall Troubleshooter is a free utility by Microsoft for Windows 10 and earlier versions to uninstall and remove programs that won’t uninstall via Control Panel or Settings app. The Program Install and Uninstall Troubleshooter can help you to fix corrupted registry keys on 64-bit version of Windows, fix registry keys that control the update data, address issues that prevent installing new programs and uninstalling old programs. Using Program Install and Uninstall Troubleshooter is fairly easy. 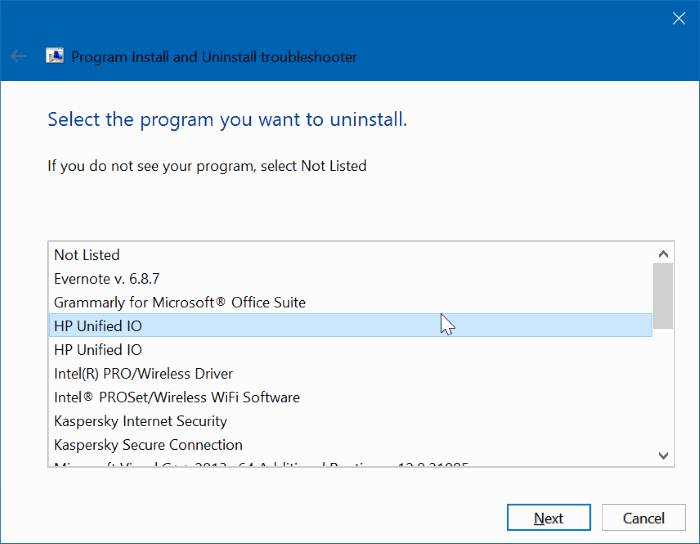 Follow the given below directions to uninstall a program that you cannot otherwise via Control Panel or Settings in Windows 10. It’s worth noting that this troubleshooter is meant for classic desktop programs only and cannot be used to uninstall built-in apps as well as apps installed from Store in Windows 10. Step 1: Visit this page of Microsoft and download Program Install and Uninstall Troubleshooter. Step 2: Run Program Install and Uninstall Troubleshooter on your PC and then click Next button. Note that it doesn’t require an installation. Step 3: When you get “Are you having a problem installing or uninstalling a program?” screen, click Uninstalling option. Step 4: You will now get a list of programs installed on your PC. Select the program you want to uninstall and then click Next button. Step 5: Click Yes, try uninstall option to begin removing the selected program. The program should be out of your PC in a few seconds. During our test, we found that Program Install and Uninstall is best solution out there to remove stubborn programs. GeekUninstaller (free version) is a handy piece of software designed to remove and force uninstall classic desktop programs as well as apps installed from the Store. Here is how to use it. Step 1: Download, install and run GeekUninstaller to see all installed programs on your computer. Step 2: Right-click on the program’s entry that you want to force uninstall and then click Force Removal option. Click Yes button when you get the confirmation dialog to continue removing the program. 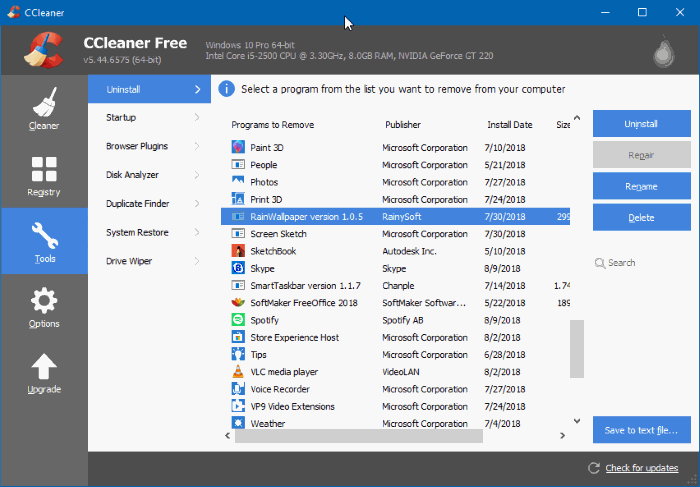 The popular CCleaner free version can also be used to uninstall programs that you are unable to uninstall via Control Panel or Settings. The best thing about CCleaner is that it can also uninstall default Windows 10 apps that you cannot uninstall via Settings app. Step 1: Download CCleaner for Windows 10 and run the same on your PC. Step 2: Navigate to Tools > Uninstall. 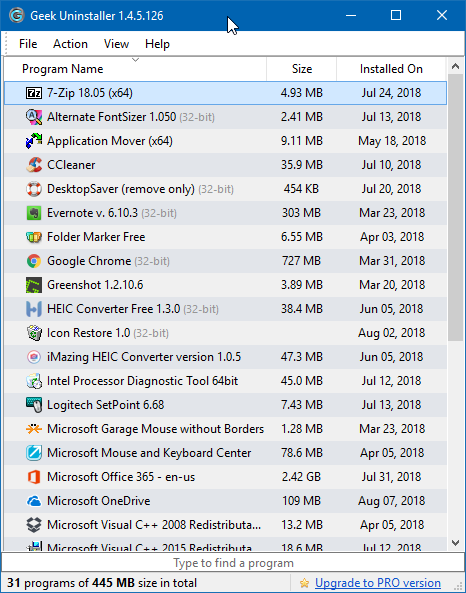 Select the program or app which you want to remove from your PC and then click Uninstall button. Click OK button when you get the confirmation dialog.